In this land of 10,000 lakes, Ron Schara is the reigning king of sport fishing. Ron is the host of the long-running television program “Minnesota Bound” and the author of Ron Schara’s Minnesota Fishing Guide. He is equal parts fisherman and storyteller – with some hunting and other outdoor recreational pursuits thrown in for good measure. Ron got his start at Iowa State as a fisheries and wildlife biology major. He shifted his career goals slightly when he took a basic writing course and found a new passion. “The light bulb went off. I discovered that I could write about these things I was learning,” he said. He graduated in 1966 with a degree in journalism and a minor in fisheries. For 29 years, Ron wrote an outdoor column for the Minneapolis Star-Tribune. Today he is famous in these parts and beyond, with 17 years worth of “Minnesota Bound” episodes airing in the Twin Cities, Duluth, Rochester, and Fargo. Ron Schara Productions, headquartered in Minneapolis, also creates outdoor-recreation programming for the Outdoor Channel, The Versus Network, ESPN, and Fox Sports. His company even publishes popular Midwest wall calendars, filled with outdoor information on every date. Ron has been filmed on location not only in the state of Minnesota but also in Africa, on the Amazon River, in the Bahamas, and beyond. 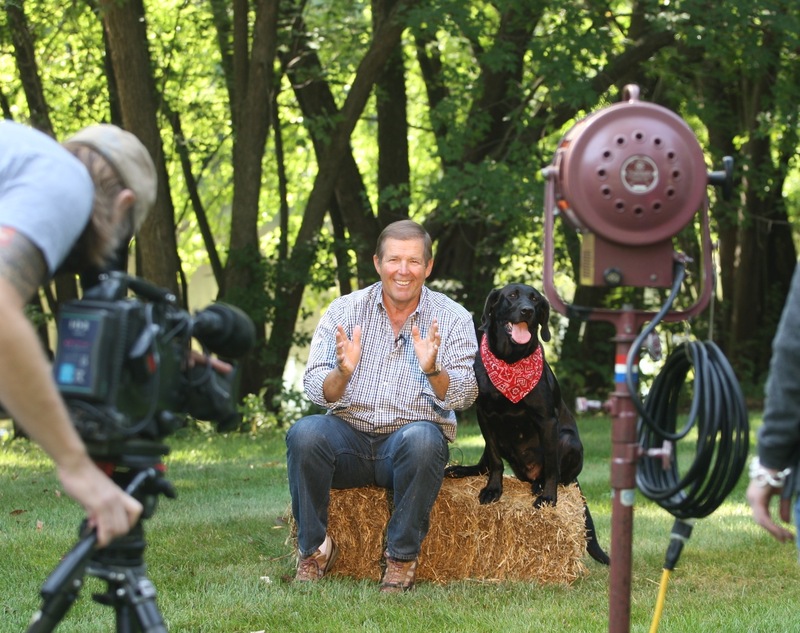 But one of his signature shots is right in his own backyard in Ramsey, Minn., sitting on a hay bale next to his costar Raven, an energetic black Labrador retriever.